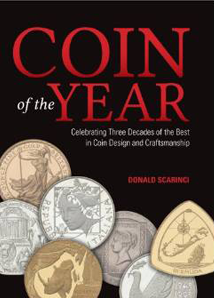 If you are an avid collector of commemorative coins, or just enjoy the art of coin design, this is a great “coffee table worthy” book for you. This entertaining and informative book is a guide to every winning coin in the prestigious “Coin of the Year” awards. This is the first catalog honoring the winning entries from the Coin of the Year awards. The Coin of the Year awards has been around for 30 years, and is considered the Oscars of numismatics. It is the only award of its kind to honor coins internationally for design, artistic vision, and craftsmanship. There are 12 categories that range from Most Innovative Coin to Most Historically Significant Coin. Winning the Coin of the Year award is considered the highest honor of the year for coin designers. Color photographs of both sides of every winning entry for the Coin of the Year awards. The story surrounding each overall winner. Statistics and designer information for each coin. Why is the president powerful; where did the vice presidency come from; and who came up with the Electoral College? For these and other interesting facts, author and attorney Donald Scarinci takes a closer look at David Brearley, the little-known Constitutional architect and former New Jersey Supreme Court justice. Born to a pre-American Revolution family of radicals, Brearley was raised amid the Garden State land riots and served under George Washington at the Battle of Valley Forge. 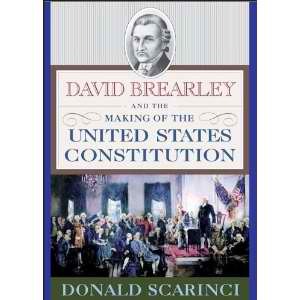 In August 1787, Brearley almost single handedly saved the Constitutional Convention from unravelling. He delivered compromises creating a powerful executive, a bicameral legislature, and an independent judiciary. Brearley died before ascending to the U.S. Supreme Court, but by being the first American judge to declare a law unconstitutional, he laid the foundation for seminal cases such as Marbury v. Madison. Brearley’s story, as Scarinci tells it, is a tale truly American, purely revolutionary, historically profound, and criminally underrated. While elections ultimately determine majorities in Congress, the process of redistricting influences the results of those elections. Often the map of a particular district is more of a deciding factor than the will of the voters. Electoral district maps are decided in secret once every ten years by a small group of political insiders. In the past, the process has served as a mechanism for political insulation and retribution, but things have changed. 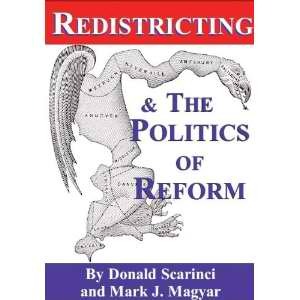 Authors Donald Scarinci and Mark Magyar examine redistricting, a thread weaved deep into the fabric of our democratic process, and raise intriguing questions about apportionment, representation, and district design. Redistricting began as an attractive Constitutional ideal of equality – “one man, one vote” – wherein every Congressperson would represent the same number of voters. That meant: first, counting Americans; and, second, dividing districts equally by population. Along the way, some facets of the process were jettisoned (redrawing states’ borders every decade) and some were adopted (a decennial census). Through the years, though, redistricting swerved off the road it was set upon, hit a “gerrymandering” tree, and landed in a ditch of political self-preservation. It wasn’t until a wave of redistricting reform crashed down from the Voting Rights Act of 1964 that new and improved systems emerged. Scarinci, a knowledgeable attorney with a sizable governmental law practice, and Magyar, an authority in public policy, reflect on the decisions made by the Constitutional framers and follow the evolution of map-making up to and beyond the modern reforms in Arizona, Iowa, and Colorado. As America searches for ways to be more fair and nonpartisan about creating electoral districts, the two authors have joined together to examine the process of redistricting by commission in the United States. 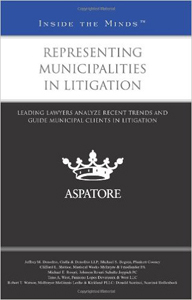 Representing Municipalities in Litigation provides an authoritative, insider’s perspective on best practices for counseling municipal clients through myriad litigation matters. Featuring experienced municipal lawyers from across the country, this book guides the reader through the issues and challenges faced by attorneys working with their government clients-e.g., civil rights violations, eminent domain challenges, tax appeals claims, and employment matters. Focused equally on litigation prevention and effective defense once a lawsuit is filed, these top lawyers review the federal legislation that guides government service today and explore options that help clients balance the delivery of services in the face of growing scrutiny and litigation. Additionally, these leaders discuss recent developments in technology and social media and provide litigation strategies that help their clients fulfill their public purpose in difficult economic times. The different niches represented and the breadth of perspectives presented enable readers to get inside some of the great legal minds of today, as these experienced lawyers offer up their thoughts on the keys to success within this complex field. Inside the Minds provides readers with proven business and legal intelligence from leading C-Level executives and lawyers. Each chapter offers thought leadership and expert analysis on an industry, profession, or topic, providing a future-oriented perspective and proven strategies for success. Each author has been selected based on their experience and C-Level standing within the business and legal communities.